These Are Not Macarons « I'd rather be in France. Its been too long since my last post. I apologize. Perhaps you thought I intentionally missed my fight back from Paris and have been living the simple country life I’ve been dreaming of – sans internet. Or perhaps you thought my love for la belle France had been satiated by my two-week trip in June and thus I had no need to cook French food and post pictures for you. This dainty pastry made from meringue and almond powder is commonly served as a sandwich cookie with a cream or jam filling. It is also often brightly colored. 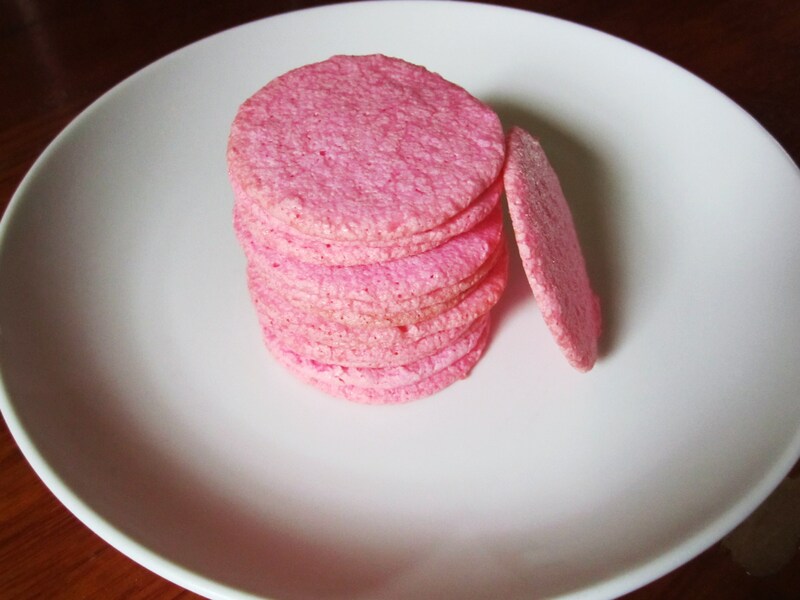 It is NOT the lumps of shredded coconut commonly known as the macaroOn. 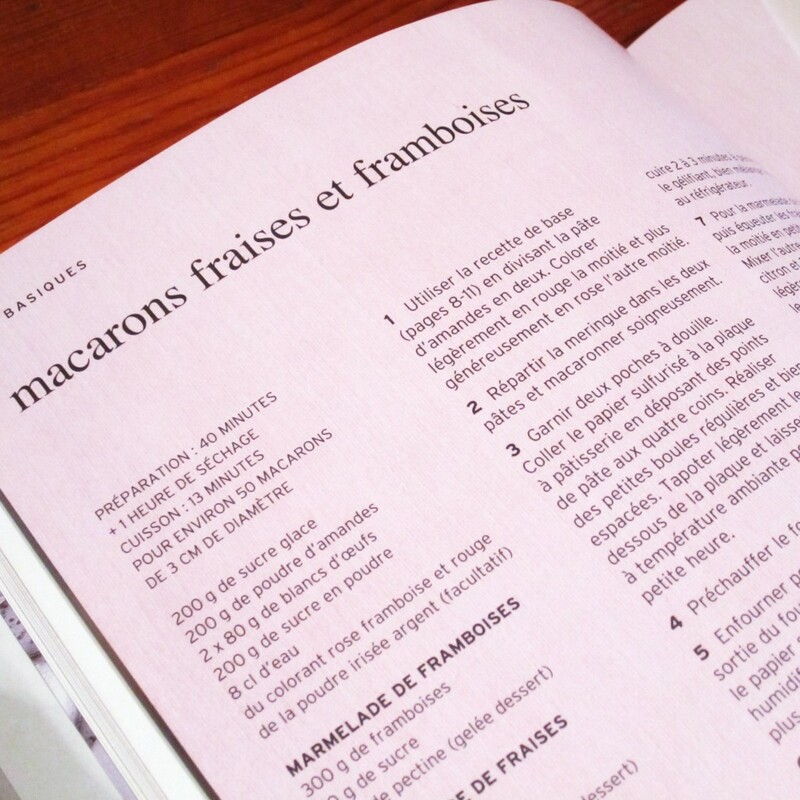 One of my souvenirs from the recent jaunt around France was a macaron recipe book. The text is in French, so making this slightly complex and finicky cookie was further complicated by the fact that I couldn’t really understand the instructions. However, I am never one to back down from a challenge, and I attempted the project anyway. I will share my thoughts on what went wrong at the end of this post, but first, here’s what I did. In case you are looking for a macaron recipe, here’s a link to a pretty good collection of French macaron recipes and instructions. As a quick side note, another reason my life has been somewhat tumultuous this summer is I moved in with my boyfriend just a few days before we jetted off to France. In an effort to conserve funds this summer — and perhaps also to try something new — I sublet my apartment to two business students with summer internships in the city. I am now summering in a much bigger apartment (with a much bigger oven) in Morningside Heights, which is the quiet neighborhood surrounding Columbia University. Although I didn’t have to pack up my whole apartment, I did have to make some tough choices about what I couldn’t live without for several months. Somehow, in the hubbub of moving and preparing for my big trip I FORGOT my single most prized possession: my KitchenAid Pro 600 stand mixer! I’m still not sure how it happened. I managed to pack up and bring my pasta-making attachments but no stand mixer. The thought of not having it with me this summer sickens me. 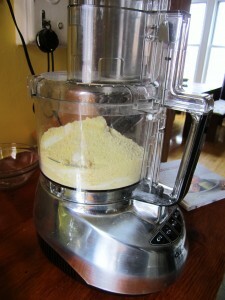 Anyway, you need a mixer to make macarons. 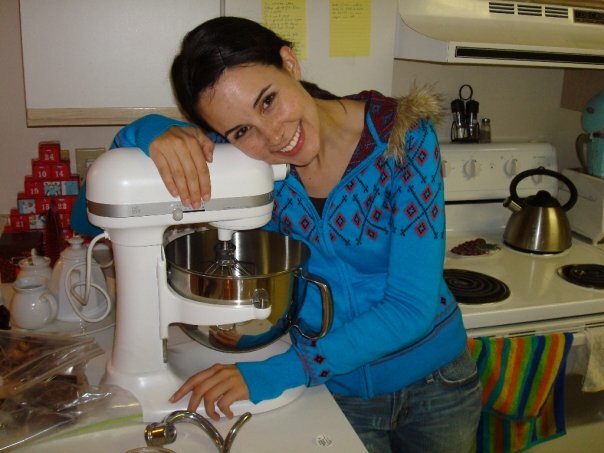 A stand mixer will make your life easier, but a hand mixer will do if that is all you have. 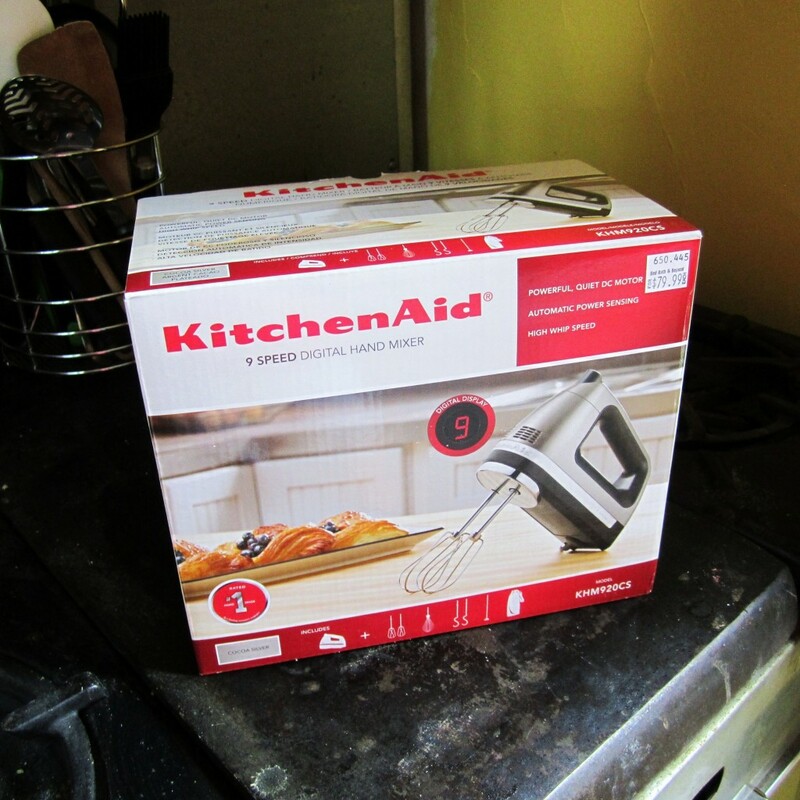 I had been meaning to add a hand mixer to my kitchen collection, so I picked up one made by KitchenAid from Bed Bath & Beyond. Making macarons is basically divided into three steps: 1. make the almond paste, 2. make the meringue, 3. mix the two together. Then you simply pipe it onto your baking sheet, let sit for the suggested period of time, and bake. And then you assemble using the filling of your choice. What are we up to, seven steps? Whatever. Its actually not that complicated. 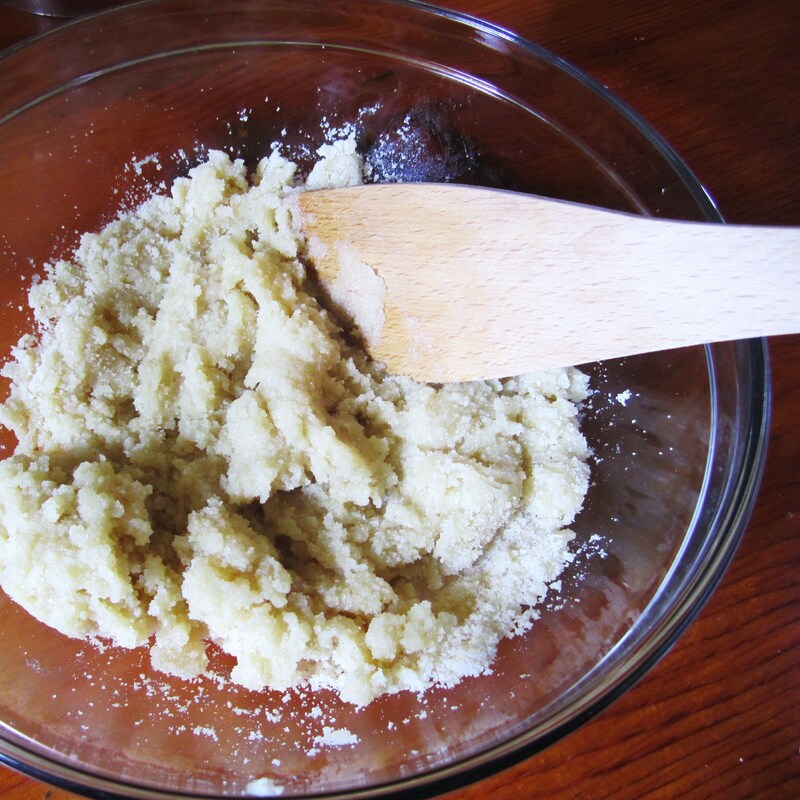 The almond paste is made by blending almond powder and sugar and then mixing in egg whites. The meringue (depending on what kind of recipe you are using) entails beating egg whites until foamy, heating powdered sugar and water until it reaches the desired temperature, and then beating the sugar syrup into the egg whites until they are cool, stiff, and shiny. This is not what meringue is supposed to look like. I have a bad habit of assuming I have all of the necessary ingredients for a project and jumping in without actually checking. I have another bad habit of substituting other ingredients against my better judgment. 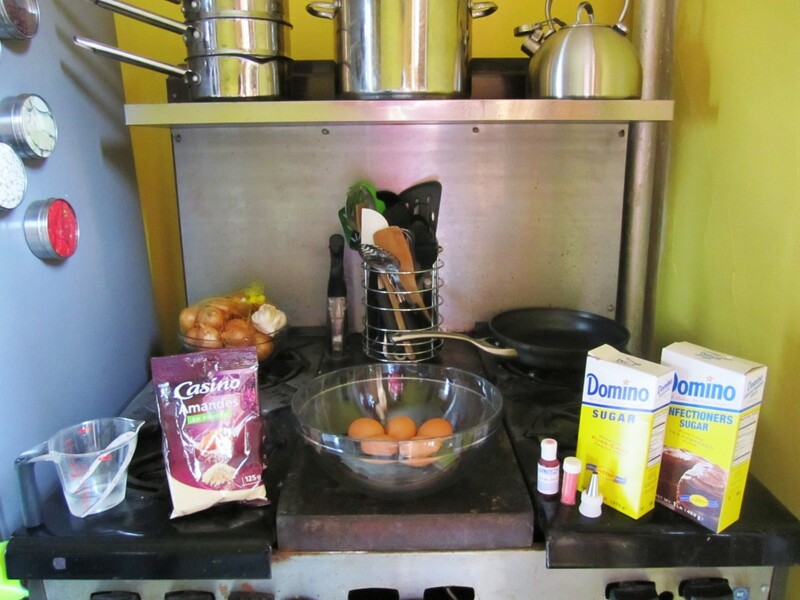 With cooking, this is ok. With baking that is more likened to a chemistry experiment, this is asking for trouble. In this case, I ran out of powdered sugar. Instead of running out and buying more or making my own in a blender, I took the liberty of substituting regular granulated sugar. The larger crystals didn’t dissolve into the water and instead stuck to the bottom of the pot while the water above reached the desired temperature. 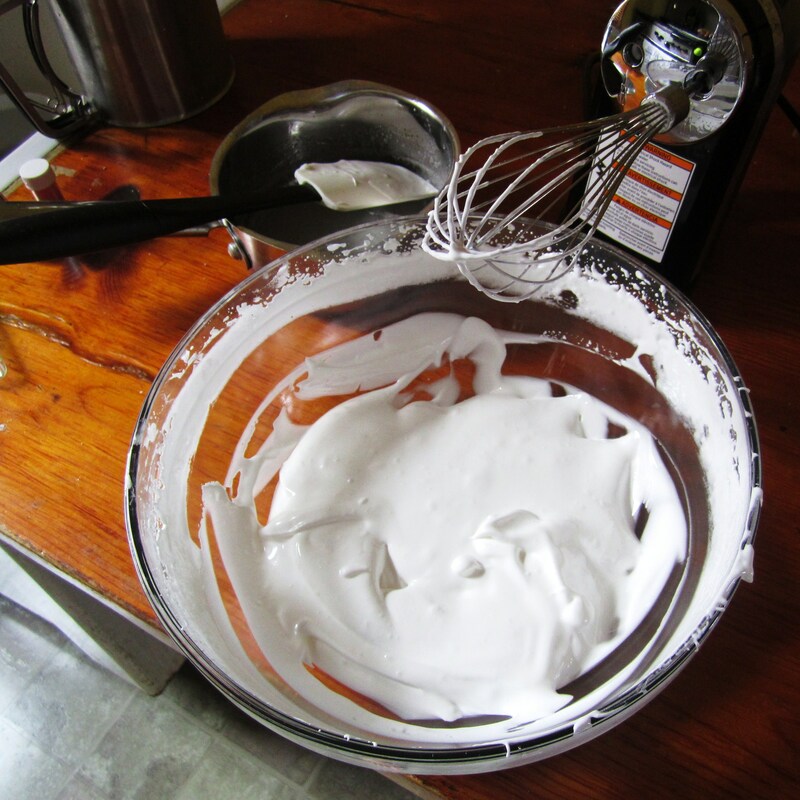 You probably don’t need me to tell you this, but you can’t make meringue out of egg whites and slightly sugary water. To make a long story short, I screwed up the meringue. 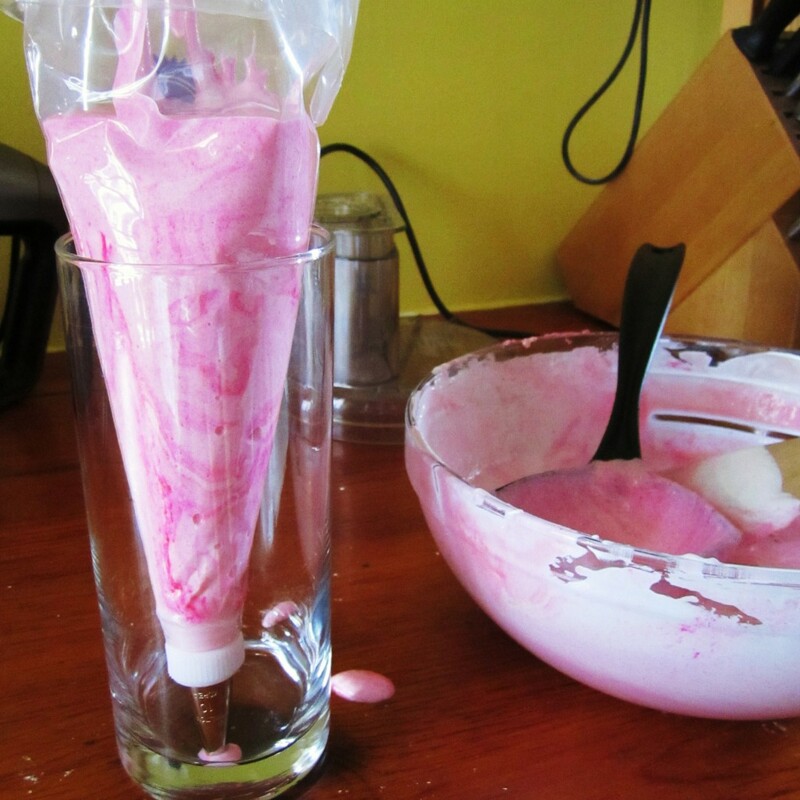 Then, knowing full well the end result was going to be disastrous, I proceeded to mix the egg white soup into my pink(ish) almond paste. 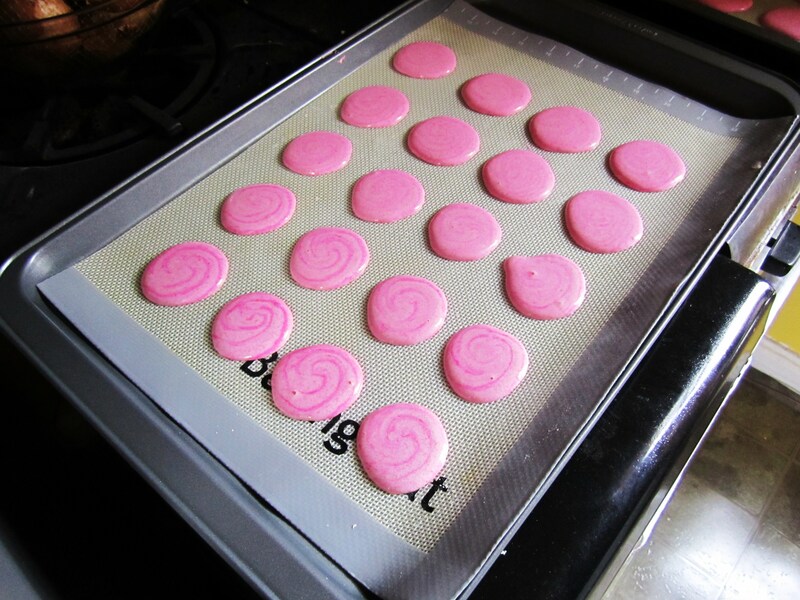 I then piped the very liquidy batter onto cookie sheets and baked them as instructed. Surprise, surprise, they didn’t turn out at all. They tasted right, but they were flat, bumpy, and soft. A proper macaron is slightly puffed up on its “foot”, smooth, and crisp on the outside. As a final note, I will add that I think my macarons were further hindered by the extreme humidity on that particular day. Right now, only two rooms in this apartment have air-conditioning, and neither is the kitchen or the dining room where I allowed my macarons to cool. When I left to have coffee with a friend, my macarons were slightly crispy around the edge. When I came home (and after it rained), they were so soft I couldn’t pull them off of the baking mat. That’s enough excuses. Macaron attempt #1 is in the garbage and #2 is certainly in the near future. If anyone out there in Internetland has comments or suggestions, do share! 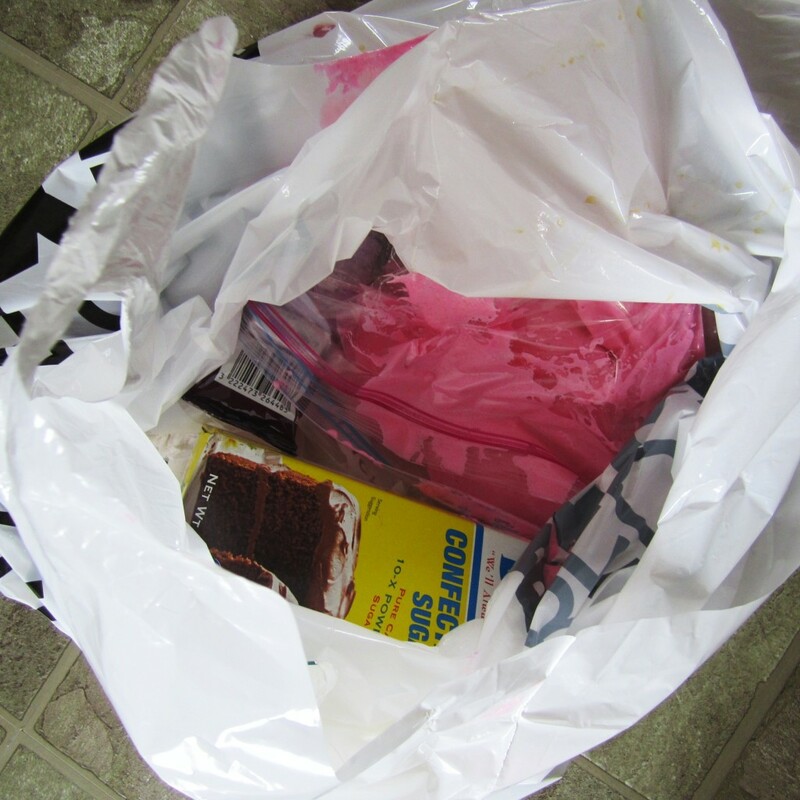 This entry was posted on July 3rd, 2011 at 2:55 pm and is filed under La Cuisine. You can follow any responses to this entry through the RSS 2.0 feed. You can leave a response, or trackback from your own site. My first attempt at macarons was an inedible disaster (and I think the meringue is also where I went wrong). But subsequent attempts turned out better, and Trader Joe’s turned out to have very affordable almond flour, which made practicing a lot easier and cheaper. Good luck with them, Rachel! 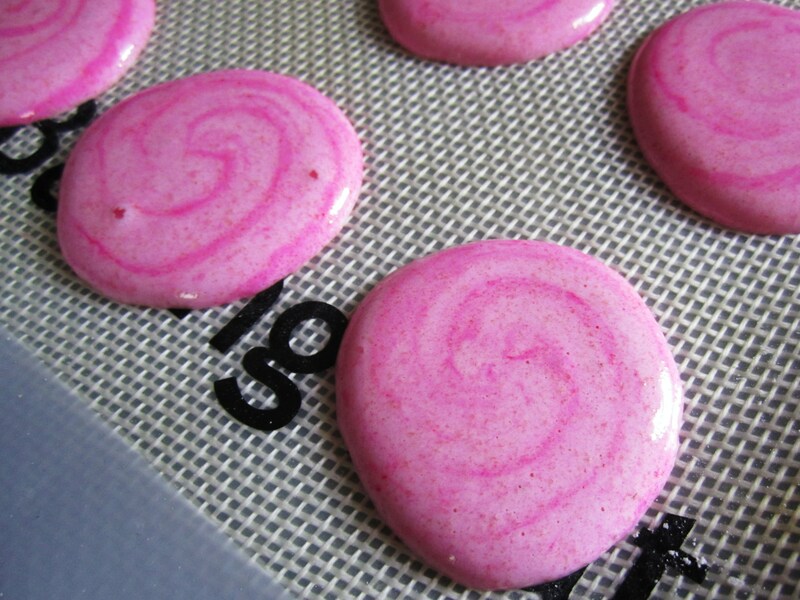 I’ve never made them by trying to dissolve the powder sugar (I wonder if that translated right). I add the powder sugar to the almond meal and then use granulated sugar with the egg whites. I’ve taught both ways in which either you make a Cold French Meringue (by adding the sugar a little at a time once the cold whipped egg whites look like foam) or the Hot Italian Meringue (boil sugar and water until firm ball stage and pour into whipping egg whites). I promise you that it does get easier! BTW, I’m pretty sure I have the book in the picture in English. They looked pretty in any case. I would definitely suggest making sure you separate the egg whites at least 24 hrs in advance, and allow your piped batter to rest for at least 30min prior to baking. This helps with feet formation. Hi, Rachel! 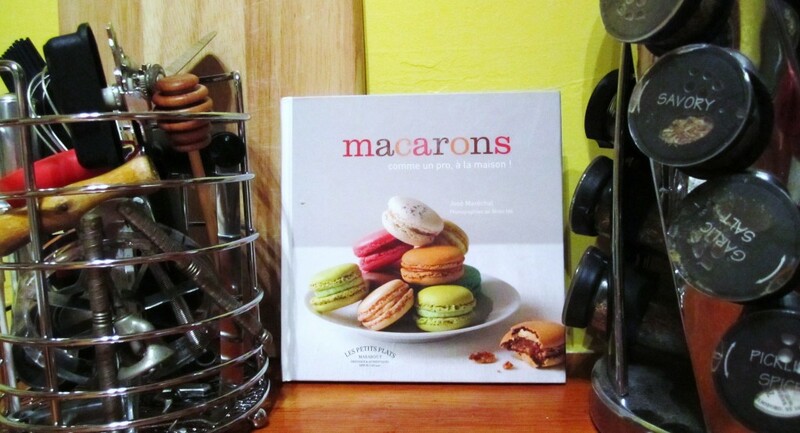 Welcome to the club of macaron baking. It is quite addicting to make them. Your piping is perfect though. I have not made macarons with the Italian Method, but I’m here for you if you have questions regarding the French way. Please keep us posted!